As a business owner, you have a skill or a product that you sell to your clients. Your clients happily pay you for your expertise because you know how to perform the task better than they do. This is the exact reason why creating a DIY website can be dangerous for your business. You’re not an expert web developer. And your time is best spent focusing on your business, rather than tedious website creation, maintenance and optimization. 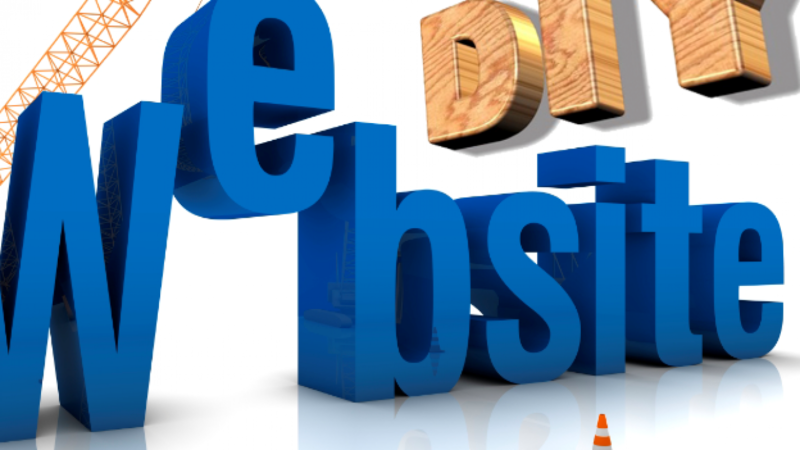 Let’s discuss a few of the main reasons why a DIY website is not in your business’s best interest. Professionals know the ins and outs of website creation. Through experience, they’ll be able to create a website faster and more efficiently than you. Doesn’t it make more sense for you to focus on your core business activity? As a business owner, you need to spend time on growing your business – not tasks that eat away your time. Professional website developers will be able to create a website that reflects your business’s main goal. You’ll be able to attract new clients, receive new leads and present your business in a professional manner. There’s a lot of work that goes into a website’s creation, such as web development and graphics design. These are tasks that are difficult for one person to take on. There are millions of websites that no one will ever visit. It’s not that these websites don’t have good content, or aren’t related to a great business. The issue is that search engine optimization will ultimately drive potential visitors to your website. Unfortunately, most DIY websites are not optimized for search engine optimization. How will your site be found on Google if you never rank for your main keywords? Unless you dedicate a large portion of your marketing budget to pay-per-click advertising, you won’t get leads to your website. Organic leads are not only free, but they are necessary for your website to be a success for your business. Without SEO optimization, you’re going to be missing out on a lot of potential leads and business. Web design is an art. You have just eight seconds to attract a visitor’s attention before they leave your website. If your website is not designed professionally, you won’t have the graphical layout or design needed to attract visitors and provide the first impression that your business needs. Your business’s first impression matters to your potential customers. A professional website can be your most important advertising tool, but if it’s not created with the utmost attention to detail, you may actually be turning off potential customers. Your business is not generic. There is something that makes your business stand out; this is why your customers rely on you. If you have the same template or design as every other business in your industry, what makes your website stand out to your visitors? Generic templates and designs are boring. Lack of security that could lead to a data breach or infiltration that could damage your personal brand. Lack of proper navigational organization. If visitors can’t figure out how to navigate your site quickly, they will leave and go to a competitor. Many templates, especially older templates, are slow and don’t render properly in all browsers. If the client goes to a website on their iPhone or tablet, it needs to render properly and quickly. Generic designs are not optimized for your particular business or website. Instead, these designs are meant for the masses and can actually harm your brand. And your site might not even work on mobile devices, which is a necessity. Sometimes, businesses need to pull up their boots and do work on their own. We understand this – you need to save money, and doing it yourself can be the answer. But a DIY service always has something in small writing that ultimately causes you to spend more money than you would if you paid a professional in the long run. Use their web hosting solution that is overpriced and often slow. Pay monthly fees despite no continual upgrades done to the service or your website. Use the service to continue hosting your website, or make it very difficult to transfer your website to a new web host. Effectively, many of these DIY services hold your website hostage. You won’t have complete control over your website or the hosting that a professionally-created website offers. Your users will find your site to be generic, hard to navigate, and Google may find that your DIY site goes against the industry-recommended search engine optimization protocols. One of the primary benefits of hiring a single design company is that it will allow for uniformity in your branding graphics. From your logo to your letterheads and business cards, your graphics should be uniform. This allows for better brand recognition and ensures that consumers are able to easily identify your product or service. If you hire one company to design your logo and another to design your business card, there will likely be noticeable differences that will harm your efforts to build brand awareness. A small and subtle difference in your branding graphics can have major implications in the long run. Consumers may become confused, and your brand will not be as easily identifiable if your branding graphics are not uniform. Working with one designer will ensure that there is congruency in all of your branding materials. Uniformity in your branding graphics will ensure that your company’s message, values and purpose are clearly conveyed. Branding graphics are the heart of your brand’s identity. In order to build a stronger, more recognizable brand, all of your graphics need to be uniform. Think about McDonald’s, one of the most recognizable brands in the world. Their branding is simple: the letter M. Had McDonald’s worked with multiple companies or freelancers to create their branding graphics, their brand may not be as recognizable today. When you work with one company, they get to know your business. This means that they understand what your goals are, who you’re targeting, and your company culture. When a designer understands your business, they’re better able to create graphics that convey your message and goals in your logo and any other illustrations they create. Ultimately, you wind up with graphics that really speak to your audience. Additionally, agencies will understand your product or service and your target audience, which will make it easier to create branding graphics that will help generate more leads. When you work with multiple agencies or designers, they never really have the time to get to know your company. This makes it more difficult to convey the company’s message in a uniform, concise way. Naturally, working with a single design company is more convenient than having to deal with multiple companies or freelancers. A one-stop-shop company will be able to take care of all your graphic needs, so you never have to chase down freelancers, juggle multiple deadlines, or deal with multiple revisions. Rather than having to meet with multiple designers, you’ll deal with a single company throughout the entire process. You won’t have to explain your company’s goals or missions multiple times either. In the business world, time is money. Working with one company will save you time and resources that would be better invested in core company tasks. All designers have their own unique style. Even if you had your logo created by one designer and asked another designer to work off of that logo, the new designer would have their own style that would conflict with the original logo. When working with a single designer, you can be sure that any additional graphics that are created are done so in the same style and manner that the previous graphics were created with. Continuity is extremely important when building your brand. If your branding graphics are all over the place and there is no continuity, consumers will never be able to identify your brand. While they may be interested in your product, they’ll have a hard time remembering your brand’s identity. Ultimately, the most important thing is to ensure that your brand is consistent across all elements of advertising and marketing, whether it’s print or online. A single design company can help you achieve this. 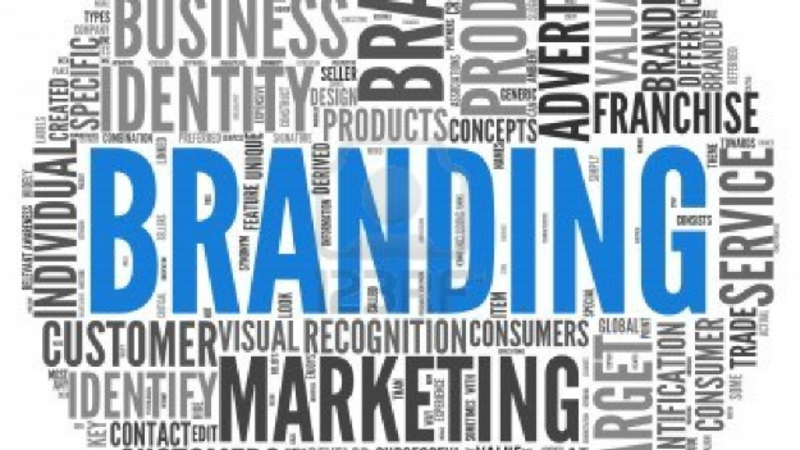 Many businesses overlook the importance of building their brand. They may hire multiple freelancers in an attempt to save money, or they may work with a friend who claims to have design experience. But in doing so, they risk creating inconsistencies in their branding, which can lead to consumer confusion and sometimes even create a negative reputation for the company. For the convenience and continuity benefits, it’s far better to hire one agency for all your branding graphics needs. Additionally, the agency will take the time to get to know your business, your consumers, and your company culture to create graphics that clearly convey your company’s identity. Why are responsive websites important for your business? Before we go into to why a response website is important, it’s essential to know what responsive web design actually is. Previously, designers would need to code a website to be viewed on your PC, and create different coding for your mobile website. And you would need to pay for both of these websites to be created. It was a major expense, and it was very costly when a web site needed to be redesigned. Under the concept of responsive design, a website’s elements will automatically readjust themselves to fit your browser properly. Now, you don’t need to spend more money maintaining and updating the website. And, your visitors will have a better overall experience. Your visitors are using the Internet differently today than they did 10 years ago. Mobile phones and mobile devices, as a whole, have outpaced the use of the personal computer. A quick look at your analytics will show you that a majority of your visitors are on a mobile device. And responsive design ensures fluidity across all devices. Responsive design allows the visitor to view your website on their PC or their tablet, mobile phone, or even videogame console. Ultimately, it allows your visitors to have a seamless experience when visiting your website. If you’ve ever been to your favorite website on a mobile device, you may have noticed that some sites lose functionality when on a mobile device. You may even have to scroll to view the text on the screen – it’s very inconvenient for the user. Marketers suggest that content is king, but content can only be read when it is properly displayed on the screen. With responsive websites, your content is able to be consumed on any device. You essentially expand your user base because you can accommodate them with a responsive website. And, you have one domain instead of a subdomain or subfolder, which will need to be updated. It saves you money while also catering to your most important asset – your visitors. There is no scrolling, no awkward image resizing or obstruction of your most important content. Google will be a major traffic generator for your website. When your website is mobile-friendly, as responsive design allows, you will be meeting one of Google’s biggest recommendations. The search giant owns 67% of the market share, so when the company recommends responsive design, users should listen. The company knows, perhaps better than anyone, what users desire as a best practice for web design. And, from an SEO perspective, it’s also easier to optimize one website rather than a separate mobile domain. Websites that have a separate domain or subdomain will need to spend more money to have both assets optimized by an SEO professional. Google will also have to crawl separate websites, indexing content slower as a result. With a responsive design, you have just one website to update and manage. A Better User Experience: Responsive design is optimized for the user. Your visitors will be happier to visit your website and able to view it with ease when it is responsive. You want to attract as many visitors as possible, but to do this, your site needs to be viewable across a range of devices. This is, perhaps, the biggest advantage of responsive web design. Future Proofing: Your website needs to be optimized for the future. Just take a look at how mobile devices have changed in the last few years. Tablet sizes are different than before. 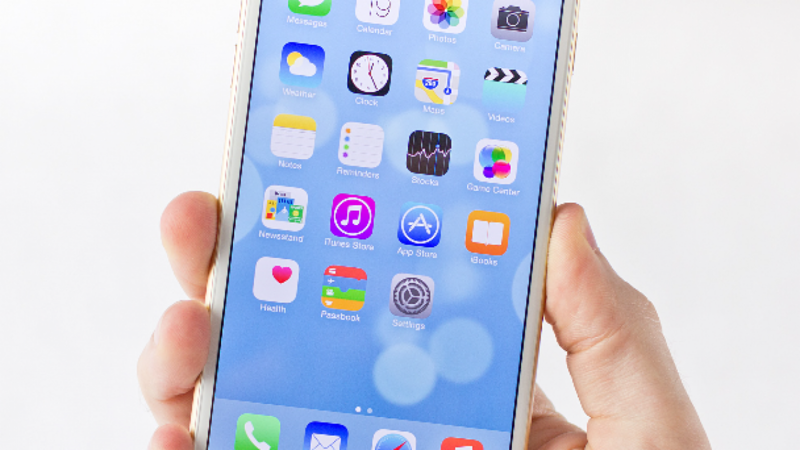 Smartphone screens vary drastically and need to be accommodated for properly. Your website will be future-proofed if it is created with responsive web design practices. Better SEO Results: Maintaining just one website to SEO allows you to achieve better results, save money and boost conversions in the process. Cost Effectiveness: Responsive design only needs to be applied once to your website. Once your website is built, it will be easier and more cost-effective to update and manage your website. You won’t need to spend more money on a mobile-friendly site – your site will automatically be mobile-friendly. 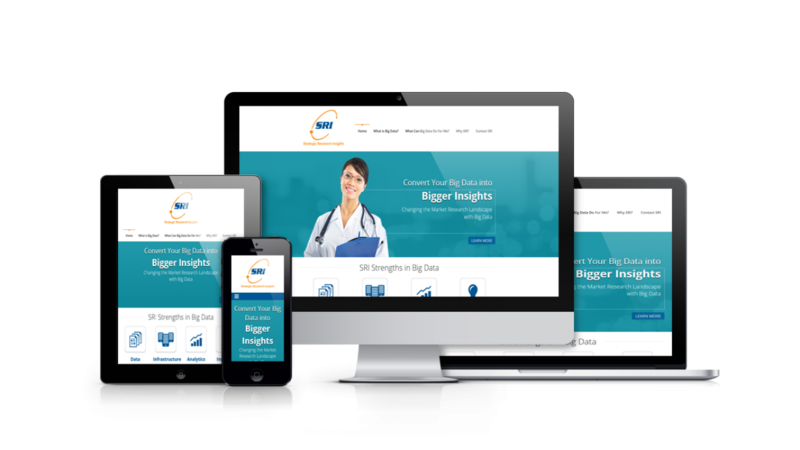 Responsive website design allows you to easily accommodate all of your website’s visitors. You never have to worry about your website rendering improperly as new screen sizes are introduced to consumers. It’s the best way for you to optimize your site for the future. Did you know that the brain can process visual information 60,000 times faster than it can process written text? This means that it takes your visitors much longer to digest your written content than it does for them to digest audio or video content. That’s why animated explainer videos have been so successful at helping businesses generate more leads. They’re quick, usually less than two minutes, and easy to follow. In a world where the average attention span is less than a goldfish (eight seconds), quick and easy-to-follow are the tickets to success. 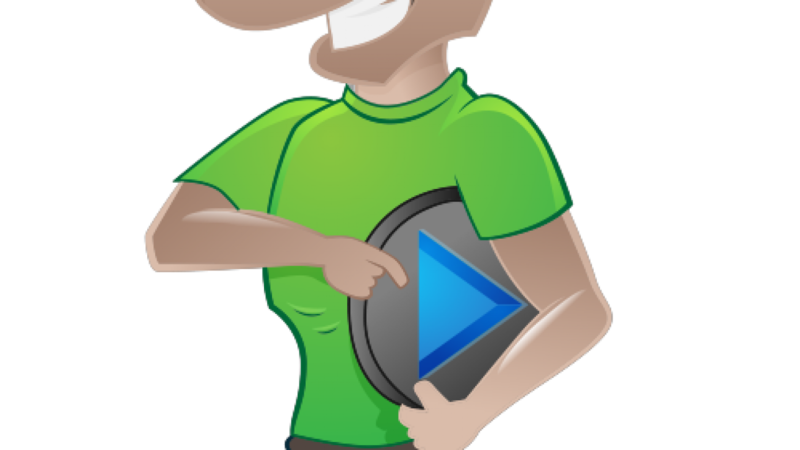 Here are a few reasons why you should use animated explainer videos to bring in new leads. Remember how we talked about our short attention spans? Explainer videos, when done correctly, keep viewers engaged right from the start. Once you have their attention, you are likely to keep it. These videos are short and to the point, which is exactly what viewers want. Over 80% of all Internet users in the US watch videos online. But that’s not even the impressive part. Users are actually spending 100% more time on a webpage that has video content than on a webpage with text only. In the long run, this gives you a minimum of 16 second to catch a lead’s interest – rather than just eight seconds. Using the statistics above, you’ll see that your visitors are only consuming 20 words in eight seconds. But video can tell your viewers a lot about your product or service in two minutes or less using visual and audio content. The truth is that your visitors love video. And if your copy doesn’t capture their attention in seconds, they’ll leave your site and visit a competitor’s page. On average, a video will hold a viewer’s attention for almost 3 minutes. That’s more than enough time to convert a lead into a sale, and double the amount of time you would have if you were only using text content. All of the information the viewer needs about your product or service can be squeezed into a video that is just two minutes long. Leads can learn everything they need to know about your product or service in the time it takes them to drink a cup of coffee. You know that explainer videos catch and hold the viewer’s attention, but did you know that they also increase conversion rates by 20 to 30%? And almost 50% of all leads watch the video. Videos are a great way to generate leads, and are far more effective than using text alone. Why are explainer videos so effective? They demonstrate the benefits of your product or service in a way that appeals to your audience. Text simply cannot deliver your company’s message in the same way that video can. Just ask yourself this question: would you rather watch a short video, or read a wall of text? Because videos retain your viewer’s attention, they’re far more likely to retain the information you provide. This means that viewers are far more likely to remember your company’s name and your product or service after watching an explainer video. Plus, video is more likely to be shared on social media platforms, and it usually attracts three times the number of inbound links compared to text content. When your video is shared on social media, you help build brand awareness. At the same time, you also boost consumer confidence. In fact, 52% of consumers say that videos make them more confident about making a purchasing decision. That’s because people want to see how your product or service can benefit them and solve their problems. The bottom line is this: if consumers aren’t confident in your product or service, they’ll be hesitant to buy. Sure, there are numerous ways to gain consumer confidence, but video is the easiest way to accomplish this. Studies have shown that consumers are 174% more likely to buy a product after watching a video about it. Product demonstrations are the most effective type video of all. Of course, in order for an explainer video to be most effective at generating leads, it needs to be high quality. Poor quality video can actually have a negative effect on brand awareness and consumer confidence. Professional videos are the best way to target your demographic and convert leads to sales. Remember, leads already want your product or service. A short, concise and informative explainer video can close the deal quicker than text alone. Text and other media will always be an important part of the marketing process, but video is far more effective at converting leads simply because they’re more effective at catching and holding the viewer’s attention. If you’re looking to have a website built, you probably realized that there is one name that keeps popping up – WordPress. As the most popular CMS (content management system) in the world, many of the biggest blogs and websites are powered by WordPress. There are several advantages to using WordPress, and you may not recognize them unless you’re a web developer or web designer. Most website owners don’t worry about the intricacies behind their website; they just want it to work. WordPress is open source and free. Being open source, the source code itself is available to developers. 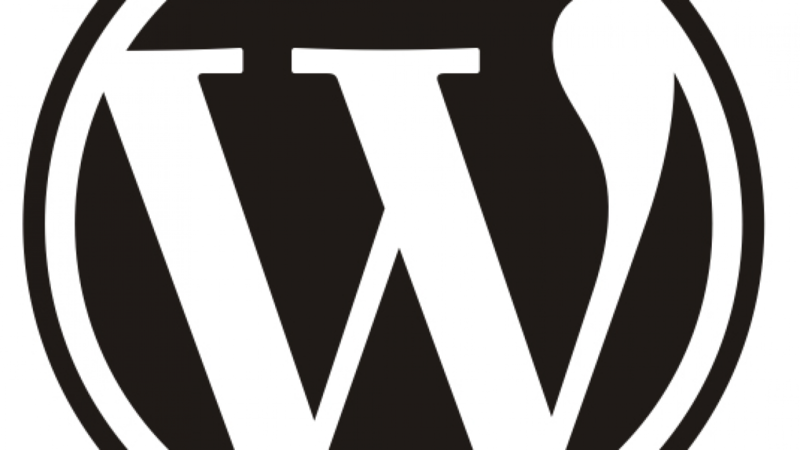 Continuously updated, when you use WordPress, you’ll know that the world’s best developers have a chance to look at the source code to make it more secure, optimized for speed, and ensuring best practices were taken when coding the platform. Larger websites, like eBay, will use their own proprietary platform. This is a platform designed specifically for a particular website. If you don’t know how to update your website or your main developer leaves the project, it’s a lot harder to maintain and update a proprietary platform. This means that you’ll spend more money, time and resources on your website. And, most websites don’t require such a costly yet robust platform. WordPress is completely free, and you’ll notice, as I will mention shortly, that you can do virtually anything with WordPress. From e-commerce to a simple blog, WordPress can do it all. When building your own website, you need to think about search engine optimization. This allows your website to be found on Google, Yahoo and Bing. WordPress allows you to easily SEO your domain. This is mainly done using one of the many plug-ins available to you as a WordPress user. You can also choose a caching system that will ensure your website loads quickly for both search engines and your users. WordPress can be extended through plug-ins, which we’ll cover shortly, and can be extended in other ways. You probably already know that WordPress is the leading platform for bloggers. But WordPress can also be used for e-commerce, membership sites, image galleries and virtually any other website type you can think of. For example, you may use WooCommerce to add a store to your blog. This plug-in extends the capability of WordPress so that you can sell your own products on your website. And, you will still have all of the functionality of WordPress to create pages or blog posts. WordPress is an all-in-one solution for your website needs. WordPress is very secure. You’ll notice that it’s updated frequently and there are many plug-ins that you can download to further enhance your security. As a website owner, this allows you comfort in knowing that your website is always secure for you and your visitors. You won’t need to worry about data breaches or your website being hacked. While it can happen, it is less likely due to the frequent updates to WordPress. If you have proprietary software, it may not be updated resulting in a major data breach. The ability to use a platform that’s used by millions of people allows you to use a trusted, tested and always updated software without having to pay a dime. It’s the right choice for security, and the availability of security-related plug-ins is massive. The use of plug-ins cannot be underrated as a web designer or website owner. Plug-ins allow you to extend the core functionality of WordPress. If you want to add social buttons to your blog post, all it takes is for you to download a plug-in to add this functionality to your website. And, most of these plug-ins are free. If you don’t find a plug-in for the functionality you want, you can have it created. It allows you to use all of the core functionality and security that is built into WordPress, and build on it. This is where the true power of WordPress exists. You’ll find plug-ins that allow you to easily integrate Google analytics, or plug-ins that will help you combat spam, such as Akismet. In terms of rapid development, WordPress allows you to get a website up and running as fast as possible. There are two types of templates available for WordPress: free and paid. The free templates are not the most aesthetically pleasing, but they have been improved in recent years. From a business standpoint, it’s more practical to pay to have a WordPress theme either created or to buy a pre-existing theme. There are thousands of high quality, professional themes that can be downloaded and installed directly on your website. And, many of these themes are used by the world’s biggest brands – they’re professional and affordable. The final advantage is one of the most important: WordPress is very simple to use. Not only is the CMS intuitive, but there is a lot of documentation available to you that enables you to learn the WordPress platform without the technical jargon that complicates content management systems. Here at Elev8 Media we give people the option of using a WordPress theme or us creating a custom WordPress website from scratch. Mary Meeker made a bold prediction in 2008 that mobile traffic would overtake desktop traffic by 2014. This bold prediction seemed outlandish at the time when there was just 600 million mobile users compared to 1.2 billion desktop users. But Mary had the foresight to see the future of the Internet before anyone else. Mobile traffic surpassed desktop traffic to account for 1.6 – 1.8 billion users. Mobile traffic continues to soar, with over 1.9 billion people connecting to the Internet using a mobile device in 2015. Desktop traffic is still high in 2015, but it remains in the high 1.7 billion users. Mobile traffic is becoming the standard on the Internet. People are on the go at all times, but when we have a break, we often use our phones or tablets to check out the latest news, talk on social media, or browse the web for information, services and products. Using a mobile device is far more convenient than using a stagnant desktop. Desktop traffic still remains very high and will not witness a major decline in the coming years. What statistics have shown is that we’ve come to the cusp of desktop traffic. A good example of this is looking at the number of global users for desktops over the last few years. The number of global desktop users in mid-2012 was 1.6 billion. The number of global users today is around 1.7 billion on desktop. Essentially, desktop saturation has occurred were more people are turning to mobile devices that are cheaper and more accessible in some cases. Mobile traffic during the same time period rose dramatically from around 1.4 billion users in mid-2012 to nearly 1.9 billion users in 2015. Website owners can no longer deny the fact that mobile is the future of the Internet. It’s essential for every website to have a mobile version and a desktop version. After all, you never want to turn away visitors, especially when there are over 1.5 billion desktop users and mobile users. Smartphone owners spend 2.8 hours per day on their mobile device. Desktop users spend 2.4 hours per day on their computers. Keep in mind that these two statistics relate only to United States residents, but all previous statistics are on a worldwide basis. When someone searches for your website and lands on your page, you want them to be able to view all of your content with ease. If your website doesn’t load properly on a mobile device, you’re missing out on potential leads and harming your chances of retaining current customers. The truth is that website visitors expect your site to be mobile-friendly. This expectation requires that your website loads and displays accurately on both the desktop and a mobile device. Websites that were built five years ago often lack mobile-friendly designs. There are even many websites in 2015 that don’t load properly on all devices. The problem is too many screen resolutions came out too rapidly for developers and website owners to accommodate them all. The answer to this problem is responsive design practices. Fast load speeds that adhere to the best SEO practices. A loss in the potential leads to your business and website. A loss in current customers due to inaccessible online content. Frustrated visitors that cannot properly navigate your website and find your most important content or offers. Sites that are not mobile-friendly won’t be displayed in Google’s search results, and lose significant traffic to their websites as a result. If your site isn’t mobile-friendly, it can affect your search engine rankings. And statistics have shown that in 2015, 48% of mobile users will go to a search engine to start their online searches. Imagine closing the door on over 900 million customers because your website was not created with a responsive design. Mobile-friendly design that renders properly despite the user’s screen resolution. Cost-effectiveness due to one website rendering correctly across all devices – there’s no need for a separate mobile website. You’ll be following Google’s own recommendation of having a mobile-friendly website. Website users will have the best possible user experience when visiting your domain. Responsive websites are easy to manage. Moving into 2016 and beyond, every website must have a responsive design if they want to be able to maximize their profit potential on the Internet. Internet users have come to expect websites to load on desktops and mobile devices. If your site is not mobile-friendly, you’re missing out on over 50% of the Internet’s web traffic.